Taz has landed on a lost tropical Island. Help him avoid native hunters, find food and Escape. Your goal is to destroy all stone statues so Taz can leave the island. Try to get the meat and destroy everything on your way! If you want to play Tazs Tropical Havoc Twister Island games online you have come to the right place! 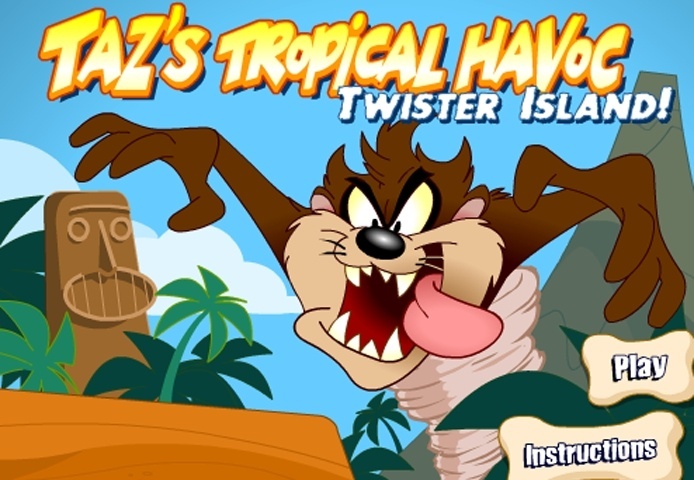 GamesLoon adds new Tazs Tropical Havoc Twister Island games every week. This is your game portal where you can find the biggest collection of free Tazs Tropical Havoc Twister Island games online. Do not forget to rate our Tazs Tropical Havoc Twister Island free online games while playing!